Now that my friend Dan Kennedy has told his myriad readers that I’d be writing this, I am. The Boston Globe, Scott Brown (R-Elsewhere) and Fox News are going ’round the Maypole over a story by Joshua Miller that appeared in the stately local broadsheet yesterday. 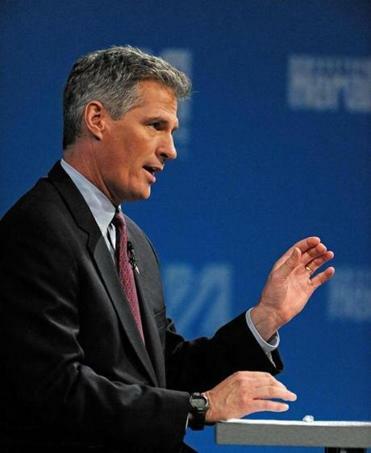 Ex-senator mum on whether he will run in N.H.
Former US senator Scott Brown, a frequent presence on Fox News, is no longer under contract with the widely watched cable station, a development sure to fan flames of speculation about his potential US Senate bid in New Hampshire. “He is currently out of contract with the network,” a Fox News spokeswoman told the Globe late Tuesday night following an inquiry. Not so, Brown tells the Boston Herald’s Hillary Chabot in today’s edition. 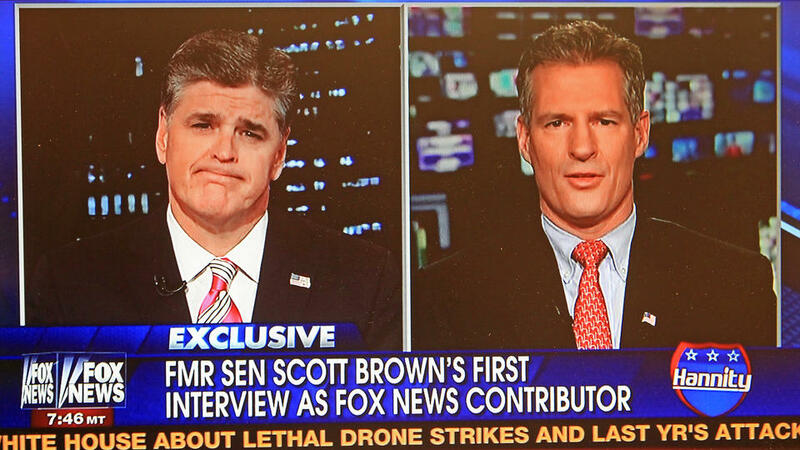 A miffed Scott Brown yesterday shot down reports that he parted ways with Fox News — pointing to his freshly inked deal with the conservative network and tweaking the Boston Globe for failing to double-check its story. “Globe should have checked with someone who had authority to speak for Fox and/or me. They did not,” wrote the former U.S. senator in a text to the Herald. He did not disclose any details of his Fox pact. According to Miller, the Globe did try: “Brown did not respond to a voicemail seeking comment late Tuesday.” Yesyesyes – how late is key, but it’s disingenuous for Brown to imply that no attempt was made to get his side. The report did not say that Brown was leaving the network nor that he had been terminated. Wednesday? The corn was off the cob by then. Wednesday doesn’t count. Here’s what does count: As long as Brown keeps showing some leg, someone’s gonna be trying to cut them out from under him. This entry was posted on Thursday, February 20th, 2014 at 3:54 pm and is filed under Uncategorized. You can follow any responses to this entry through the RSS 2.0 feed. You can leave a response, or trackback from your own site. Not to defend the Globe, but doesn’t this have the Fox M.O. written all over it?